 It’s important to get your colleagues involved in your Environmental Management System. Running a campaign (ideally reflecting national or international ones) provides a good focus. 21st June is Clean Air Day. Run by Global Action Plan, this year the campaign’s theme is cutting one pollution source – traffic. Achieving clean air requires millions of people to decide to travel differently around our cities and towns; make it easy for them to change with this one first step. I ran my first transport campaign years ago, with a Car Free Breakfast for people coming on foot, by public transport, bike or motorcycle. Once we even got someone come along in a husky sledge! Take it EV. Get electric car drivers to take a colleague or a neighbour for a spin, so that they are encouraged to choose an EV (electric vehicle) when they upgrade. Meet virtually. Do you really need to travel to a face-to-face meeting? Get teams to meet by video or teleconference – make sure you train them how to use the equipment. Breathe easy indoors. We don’t often think about air pollution inside our homes. Why not get colleagues to give each other a plant that is great at catching common indoor pollutants, prompting people to explore the issue further. Car park takeover. Turn the car park into a green oasis for the day, with pop up food stands for lunch. This is a nice reward for people who’ve left the car at home. Buddy up. Change is always easier if we try together, so get a travel buddy. Enthusiastic cyclists and runners, or regular walkers who know the streets like the back of their hand, can accompany newbies on their first run, walk or cycle and make the change that little bit easier. So there are plenty of ideas to get your colleagues involved. Remember, make it relevant & fun – you’re more likely to get buy in. For more info, check out Global Action Plan’s website.